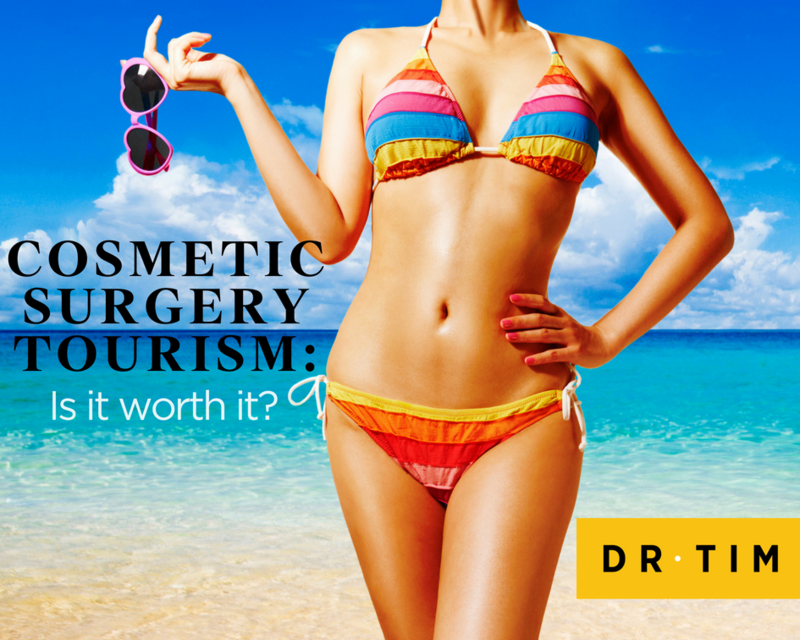 Cosmetic Surgery Tourism: Is It Worth It? Cosmetic surgery tourism is a price-driven phenomenon that has experienced increased growth over the past decade. Numerous companies oﬀering all-inclusive vacation packages that include cosmetic surgery are popping up all over the world and can be easily located via the Internet. The oﬀers generally include private hospital services and tout ”highly trained” and ”credentialed” medical staﬀ. Since elective cosmetic surgery procedures are not covered by insurance, the price is the major selling point of cosmetic surgery tourism, with entire vacation/surgical packages costing less than individual procedures in Australia. Although there are many skilled and qualiﬁed plastic surgeons practicing all over the world, cautions is warranted as it may be difficult to assess the training and credentials of surgeons outside of Australia. Patients may take unnecessary risks, when choosing cosmetic surgery vacations, by unknowingly selecting unqualiﬁed surgeons and having procedures performed in non-accredited surgical facilities. Patients should consider the potential complications, unsatisfactory results, and risks to general health that may occur. I very occasionally see patients who have had cosmetic surgery tourism done abroad that have gone horribly wrong. The plastic surgeon is well trained and reputable and that you feel comfortable with them. Make sure that you can communicate ﬂuently in their native language or vice versa. Also, don’t forget that you need a good anaesthetist to keep you safely asleep during the procedure. Make sure that the operation you are having is the right one for you. Often with cosmetic surgery tourism, planning and decision making is necessarily rushed. You cannot have ‘second thoughts’ and when surgery is planned, too often without seeing the operating surgeon or seeing them just before the surgery for the ﬁrst time, there is no time to contemplate on the decision made or any informed consent. Determine that the operation is being performed in a safe environment and any prostheses used (eg. breast implants) are of the highest quality. Cosmetic surgery trips are often marketed as vacations – but vacation activities should be avoided after cosmetic surgery eg; sunbathing, drinking alcohol, swimming, jet skiing, taking extensive tours by bus or foot. These can all compromise wound healing and increase infection rates and other problems. Question: What are some of the reasons you would entertain having cosmetic surgery tourism? You can leave a comment below.